FX’s upcoming limited series Fosse/Verdon has just completed casting its series regular roles. The network also just confirmed the show’s working title – Fosse/Verdon – is the official title for the eight episode limited series. 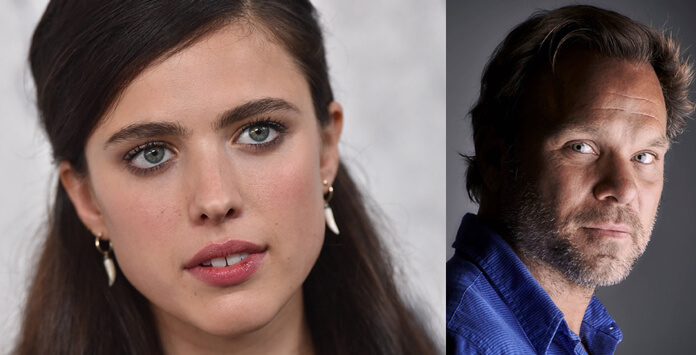 Margaret Qualley, soon to be seen in Quentin Tarantino’s Once Upon a Time in Hollywood, and Norbert Leo Butz (Bloodline, Mercy Street) were just announced as rounding out the cast. Qualley will be playing Ann Reinking and Butz has signed on to play Paddy Chayefsky. Oscar winner Sam Rockwell (Three Billboards Outside Ebbing, Missouri) and four-time Oscar nominee Michelle Williams (Manchester by the Sea, Brokeback Mountain) lead the cast as Bob Fosse and Gwen Verdon, respectively. The limited series will be executive produced by Lin-Manuel Miranda, Sam Rockwell, Michelle Williams, Joel Fields, Thomas Kail, Steven Levenson, and George Stelzner. Levenson’s also confirmed as the showrunner and wrote episode one of Fox 21 Television Studios and FX Productions project. Kail directed the first episode. Actress/dancer Nicole Fosse, Fosse and Verdon’s daughter, is a co-executive producer. Andy Blankenbuehler and Susan Misner will choreograph Fosse/Verdon.